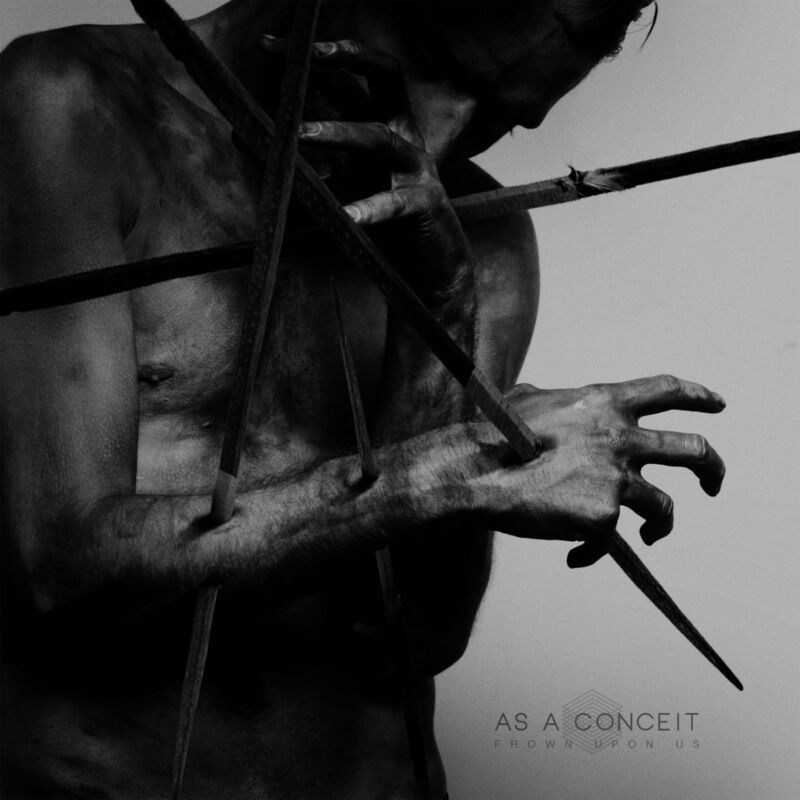 Italian Progressive Metalcore band As A Conceit released their full-length debut Frown Upon Us via Famined Records. The group spoke for Prog Sphere about their work. Define the mission of As A Conceit. As A Conceit started as a group of friends making music in a basement, like every other band on the planet. Eventually we started taking things more seriously and now we are trying to bring our music to more people we can. Tell me about the creative process that informed your full-length debut album Frown Upon Us and the themes it captures. Frown Upon Us has been mostly written at hour homes, jamming and riffing with the computer and brought to the studio for the final touches. From the start we really wanted to achieve something aggressive but at the same time keeping catchy melodies and cool ambient parts, and we are satisfied with the end result. What is the message you are trying to give with Frown Upon Us? Our album is about the struggle of the human nature, nihilism and hipocrisy we are surrounded everyday of. The message we wanted to sing about it’s a really strong message, but at the same time it’s something we all know well, but we seem to not care much about it. Well, yes, we started from what was a couple of riffs and then we focused a lot on the production side, trying to keep solid structures of the songs, trying to keep the listener focused on every second of the songs. We recorded everything at Giovanni’s studio, and luckily it made things a lot easier. We had the opportunity to spend how much time we wanted fine tuning sounds and everything. Something we did differently on the album instead of previous releases is that we recorded real drums instead of midi ones. This gave a more raw feel to the songs, even if they got samples replaced in the end, but it was just for more consistency. How long Frown Upon Us was in the making? It actually didn’t take a lot of time: from the first note ever written to the release date is passed only one year and a half. It’s quite a short time period, since we wrote about 15 songs, keeping only 10 of them for the record, we shooted a video, the record got mixed and mastered, we did a 15 shows tour in UK and EU and we fine tuned the assets of the release with our label, Famined Records. We’re not very inspired by anyone, honestly. The thing that keeps us motivated and inspired the most is what we do, making music. It’s super exciting for us to create something new that just some months before was not even existing, something that people can relate to, something that can be listened over and over and that contributes to shape our identity as a band. Talking about our influences, well, we’re clearly influenced by the artists we are used to listen the most. That’s why some of our influences come also from many italian bands that are actually our friends. 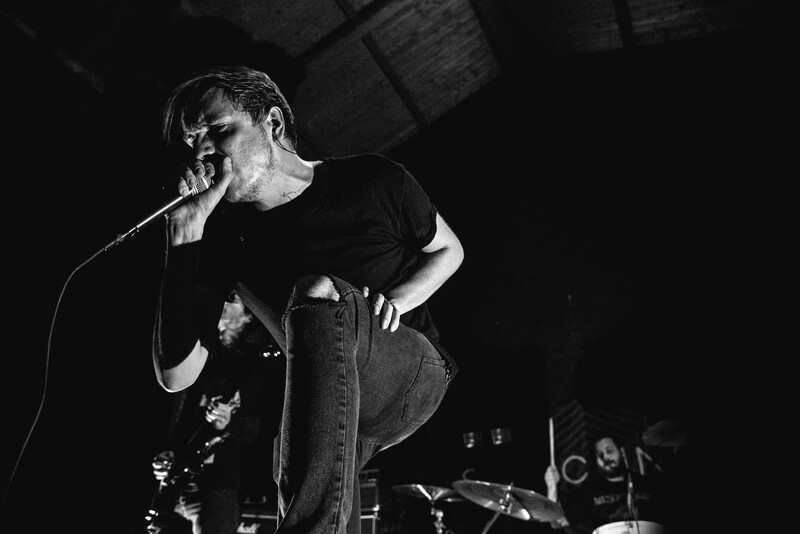 We’re glad to say we have some amazingly talented bands here in Italy that we often jam to. Technology in music is a double edged sword. The biggest point of it in our opinion is that in the modern age every musician is a badass performer in the studio, thanks of the ability to edit to the death every single performance. This could be seen as a bad thing, since a lot of time what you hear on a record is not always what you hear in a live performance, but it could be seen as a great thing as well, since it can give you the chance to express yourself and the music you want to create in a less stressful environment, without the pressure to nail everything on the first take. We already started pre-production for new stuff, we want to bring our album to more people we can playing live. We’ll play some european shows around Spring of this year, so stay tuned to our page! Cheers! Get a copy of ‘Frown Upon Us‘ from iTunes. Follow As A Conceit on Facebook for more news.